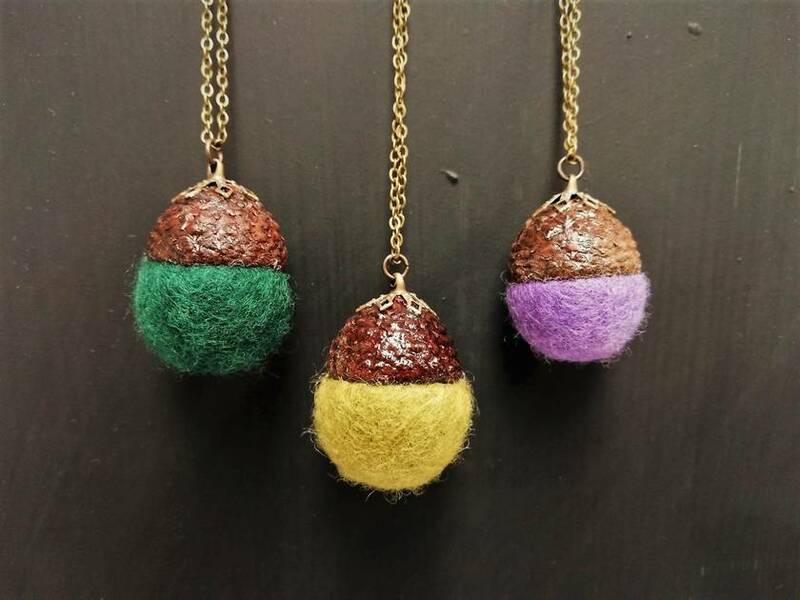 Wild Felt acorn necklaces are small but precious pendants, made from natural materials. 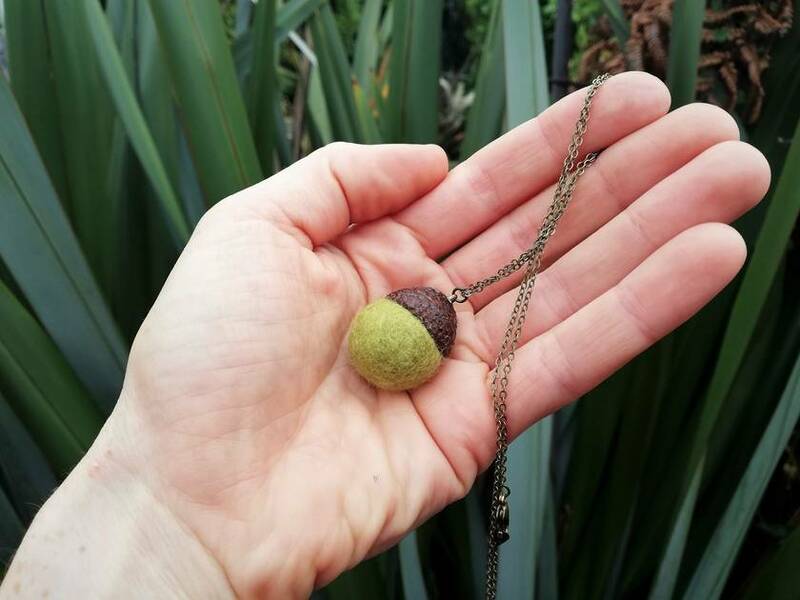 The acorn is considered to be a symbol of good luck, prosperity, strength and potential. It was also a Nordic and Celtic symbol of fertility, and immortality. Each Wild Felt acorn is hand felted from NZ merino wool then attached to a real acorn 'hat'. 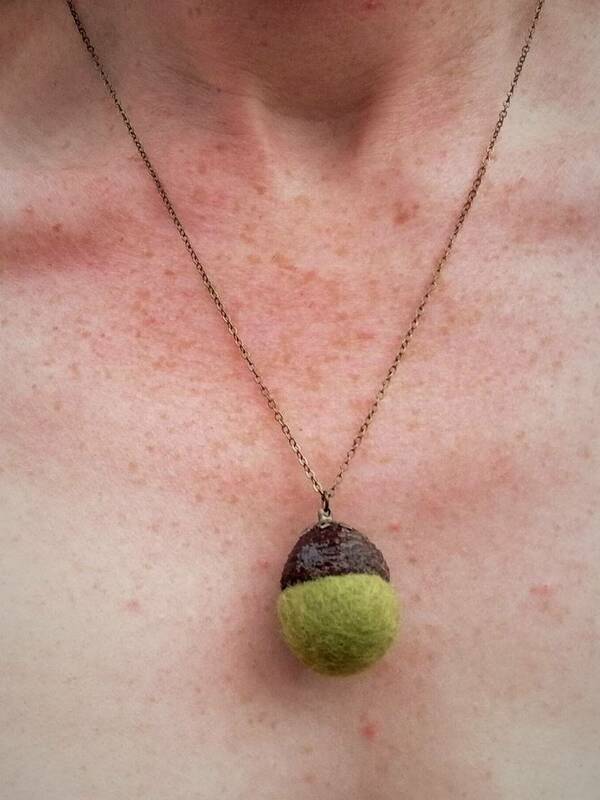 It is then threaded onto a delicate brass chain, which compliments the materials and colours of the acorn. Each acorn is approximately 2 cm long - as they are handmade from natural materials, their exact size and shape will vary. Three colours are currently available: Olive green, dark green and purple. Please let me know which colour you would like in the comments when you order. They also make the perfect gift, so let me know if you would like yours gift wrapped. Pick up is available from Lyttlelton, Christchurch by appointment. Follow @wildfelt.art on Instagram for regular updates and new products. Be original... Be wild! Contact wildfelt to enquire about payment or shipping options. I have always loved things, just things in the world. I love trying to find the shape of things.